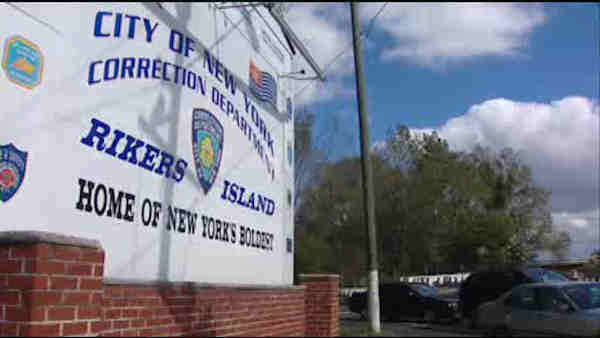 NEW YORK (WABC) -- New York City Mayor Bill de Blasio will visit Rikers Island Monday, a week after laying out his plans to close the troubled jail complex. The mayor says it will take a decade to shut down Rikers, in a plan he says is not a quick fix but a long and difficult path. He first announced his proposal to close the jail in March. The first step promised by the mayor requires reducing Rikers' population to 5,000 by making it easier to pay bail and speeding up case processing times. An independent commission also issued a report recommended closing the jail. That commission was formed after a string of brutality cases that exposed poor supervision, questionable medical care and corruption at Rikers.